Do you remember your parents telling you that time goes by pretty fast? It’s hard to believe when you’re young, but it’s true. It’s goes so fast and seems to speed up the older you get! 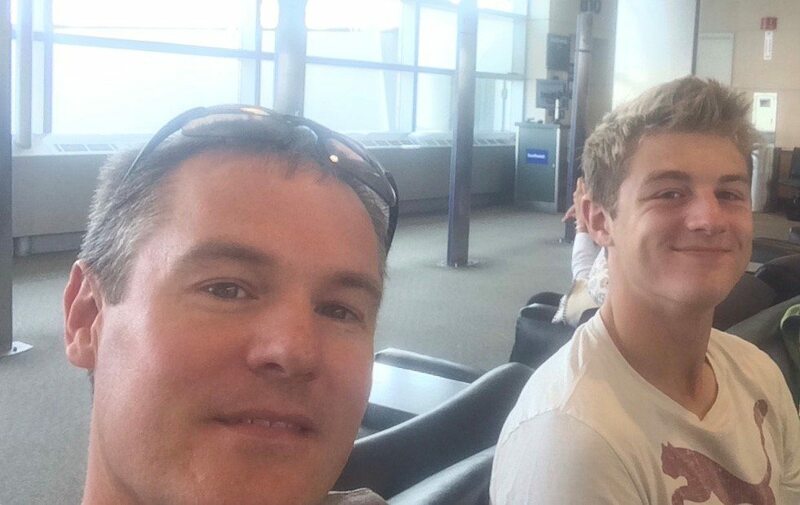 This past week I took my oldest son, Kaden, on a father/son senior trip. Yep, he’s a senior. He’s 17 years old. Where did the time go? At the time Kaden was 4 and my younger son, Carder, was 2. This mentor took about 10 minutes to share about his family and asked me to share about mine for an additional 10-15 minutes. It was a life altering conversation! Yes, I did get around to asking a few church questions, but I have no idea what they were and how he answered. All I remember, and have tried to live out this day is to honor my family and my kids. Now it’s 13 years later and here we are on my son’s senior trip. In just a few months Kaden will be graduating and going off to college. The experience he’s had for all his life has been at The Village Christian Church. Many people helped to shape him, and for each of you I am eternally grateful. I’m so thankful that my very first meeting was with the right person who simply gave me the best advice I could have ever received. Guess what? No matter what your job, or stage of life, if you have kids, their spiritual journey needs to be your priority. The absolute most important thing! Whatever you need to do to make that the priority, don’t hesitate. Make it the priority right now and every day after.